Wayfarer Smile Awards hosted by Dr. Ekta Chadha of Smile Studio in association with Sunayana Chibba saw an eclectic mix of guests bonding over cocktails and dinner. 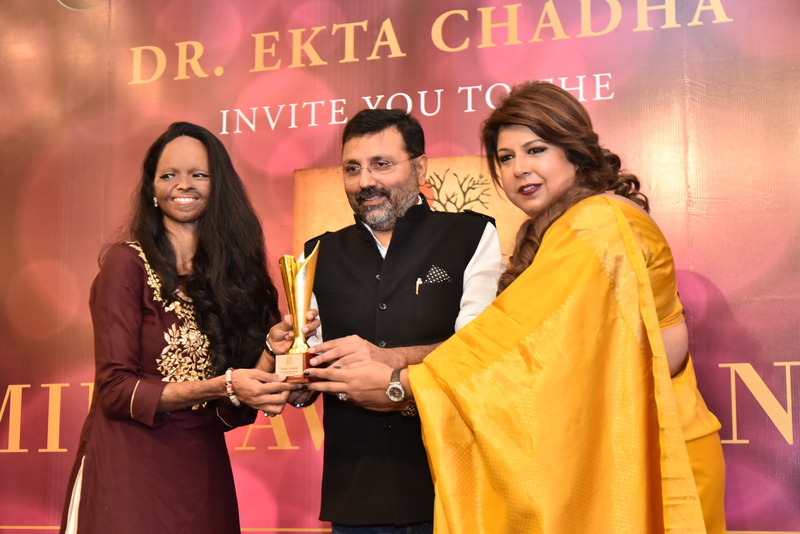 An award ceremony was organized to facilitate achievers from different genres of life who have set an example for everybody across the globe by gaining expertise in their respective fields and at the same time providing a solid platform for people willing to join similar profession. The awardees from various categories are Laxmi (acid attack victim from Khan market 2005), Bhavna Reddy (Kuchipudi dancer), Ranveer Saini (won india gold in golf in special Olympics), Tamanna Chona (school Tamana & Nai Disha), Jassi (folk singer), Sanjay Bhattacharya (artist) and Manisha Bhasin (ITC Bhukhara chef), Keshav Bansal (owner of Gujrat IPL team) at this grand event.